Los Angeles, CA, Tuesday, February 07, 2017 – Industrial brokerage team Executive Vice Presidents David Young, SIOR and Chad Gahr, SIOR both with NAI Capital’s Encino office represented the landlord, 12800 Wentworth LLC, in the leasing of a 58,394 square foot industrial warehouse/distribution building located at 28939 N. Avenue Williams, Valencia, Calif. The tenant was Armen Living. Armen Living is a furniture designer and manufacturer of modern style furniture. They distribute their prod- uct worldwide and plan to utilize this building as their new corporate headquarters and distribution facility. 28939 N. Avenue Williams, is a state-of-the-art, concrete-tilt-up warehouse/distribution facility with 30’ ceil- ing height, an ESFR sprinkler system, 5 dock high loading positions and a large concrete truck court. The building was built in 2001 and is a part of the Valencia Commerce Center. “Armen Living will be consolidating from three adjacent buildings located in Sun Valley, into this newer and more operationally functional space, which will accommodate their business growth,” Young said. 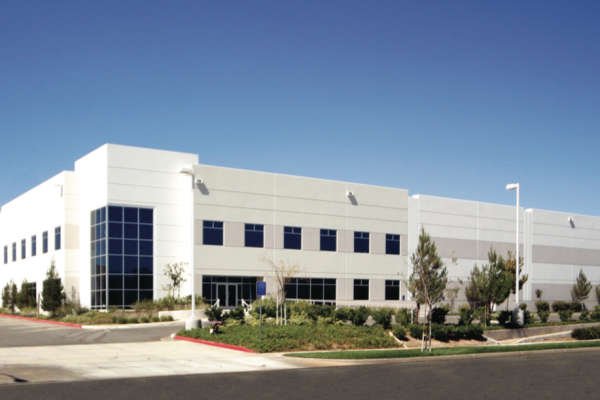 “They chose to relocate to Valencia Commerce Center because they were unable to find a newer more functionally efficient warehouse/distribution building in the San Fernando Valley,” added Gahr. provides a complete range of transaction, valuation, investment, property management and consulting services. By leveraging our local expertise with our global reach, NAI Capital offers innovative, customized solutions and seamless service to owners, tenants, investors and developers throughout Southern Cal- ifornia. NAI Capital clients have built their businesses on the power of our expanding network. We are a dynamic growing commercial real estate company. At NAI Capital we work together putting our clients first. Founded in 1978, NAI Global is a leading global commercial real estate services firm with more than 375 brokerage offices and over 6,700 professionals located throughout North America, Latin America, Europe and Asia Pacific. The firm manages over 380 million square feet of property on behalf of its clients, globally. The NAI Global Capital Markets Group serves the largest institutional owners of and investors in commer- cial real estate. NAI Global provides a complete range of corporate and institutional real estate services, including broker- age and leasing, property and facilities management, real estate investment and capital market services, due diligence, global supply chain and logistics consulting and related advisory services.